The Literary Saloon points me to an unexpected pairing: Financial Times features Albanian author Ismail Kadare in a "Small Talk" Q & A.
I have created a body of literary work during the time of two diametrically opposed political systems: a tyranny that lasted for 35 years (1955-1990), and 20 years of liberty. In both cases, the thing that could destroy literature is the same: self-censorship. While I don't have it under review, the Kadare novel I've read, Chronicle in Stone, is very good. A regular as a candidate for the Nobel Prize, Kadare also won the Man Booker International Prize in 2005. "It is not as if leaders do not understand the impact of the unjust political and economic systems which are promoting environmental degradation and promoting a non-sustainable development model. When will such business be considered unacceptable in the world community?…Africa’s challenges are being tackled at different levels, and some successes have been recorded. But not fast enough. The concepts of sustainable development, appropriate development models, and participatory development are not foreign. We are aware that our children and the future generations have a right to a world which will also need energy, should be free of pollution, should be rich with biological diversity and should have a climate which will sustain all forms of life." -- Wangari Maathai, speaking in 1991. 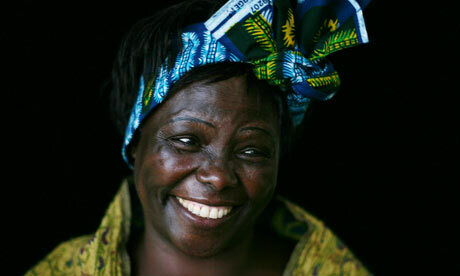 Maathai won the Nobel Peace Prize in 2004, the first woman from Africa to do so. Explore the amazing Green Belt Movement that she's led for decades, and check out her Nobel acceptance lecture here. Her recent column pressing for more active participation of women in the African Union's work with Sudan is also worth a read. 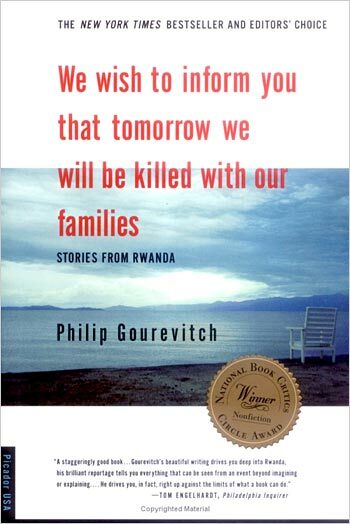 As I wrote before, I am fascinated by Philip Gourevitch's book, We Wish To Inform You That Tomorrow We Will Be Killed With Our Families: Stories From Rwanda. Rather than chatter on about the text, or paraphrase it, I'm want to simply quote from the thing, and say: See? See? The utopian premise of the Genocide Convention had been that a moral imperative to prevent efforts to exterminate whole peoples should be the overriding interest animating the action of an international community of autonomous states. This is a radical notion, fundamentally at odds, as so much of the internationalist experiment has proven to be, with the principle of sovereignty. States have never acted for purely disinterested humanitarian reasons: the novel idea was that the protection of humanity was in every state's interest, and it was well understood in the aftermath of World War II that action against genocide would require a willingness to use force and to risk the lives of one's own. The belief was that the price to the world of such a risk would not be as great as the price of inaction. But whose world were the drafters of the Genocide Convention--and the refugee conventions, which soon followed--thinking of? I first traveled to Rwanda via Brussels on May 8, 1995. The European papers were full of commemorative articles marking the fiftieth anniversary of V-E Day. The Herald Tribune had reprinted its entire frontpage from May 8, 1945, and the articles impressed me with their fighting spirit: smash the Germans, conquer, then bring justice, then reconstruct. The European Wall Street Journal carried news of a poll which found that, fifty years after the fact, sixty-five percent of Germans believed that it was a good thing their country had been defeated. And I wondered: Can we imagine such an outcome for any of the wars of today? Rwanda had presented the world with the most unambiguous case of genocide since Hitler's war against the Jews, and the world sent blankets, beans, and bandages to (post-genocide refugee camps) controlled by the killers, apparently hoping that everybody would behave nicely in the future. The West's post-Holocaust pledge that genocide would never again be tolerated proved to be hollow, and for all the fine sentiments inspired by the memory of Auschwitz, the problem remains that denouncing evil is a far cry from doing good. Image Credit: Jim Nachtwey's photograph of a machete pile left by Rwandan Hutus fleeing across the border to refugee camps in the DRC (then Zaire) at the tail end of the genocide. Only Four Five Years Ago?" The following post was first published on Isak on August 29, 2009, and is here modestly adapted for the fifth anniversary of Hurricane Katrina. The original is the top post that visitors to Isak land on via Google searches. Today is the fifth anniversary of Hurricane Katrina slamming into the Gulf Coast, instigating days, weeks, months, years of trauma on the people of New Orleans and Mississippi. While some might shake their heads in wonder at five years having already gone by, I'm in the privileged position of thinking: only five years? It seems so long ago. In January 2004, I visited New Orleans for the first (and so far, the only) time. I had just graduated college and my friend Ben was a month or so away from leaving for a semester abroad. We manufactured a student group at the University of Michigan ("The Mississippi Delta Music Project"), checked out a van from the university for a group 'field trip' south, and though neither of us were enrolled students, we left in search of the blues. We visited the places we heard Robert Johnson sing about, like Friar's Point, and the state prison in Angola, where Leadbelly was only one of the blues artists to emerge. We looked for live music everywhere we went. The illicit van was our only consistent shelter. For some reason I had the idea that the south would be warm even in January, and so Ben and I shivered together in the nights we slept in the van, parked in what we hoped were safely hidden places. Aside from one encounter with the Louisiana police, we were fine. Just chilled. We had zero money, but it was New Orleans where we committed to spending nights in a hotel. An inn, really. There was heat, there were hot showers, and my god, there was music. A nice thing about visiting New Orleans in January-- it was less of a tourist destination and more of a city. "Don't forget the kitty before you leave the city," rhymed the trumpeter who led the Preservation Hall band as he passed around a hat for donations. Ben and I were so enamored with the street performers, we'd sit down before them to to listen. Inspired one rainy afternoon, we slipped into a cafe, smoked hookahs, and beat our palms on our thighs in (somewhat) musical rhythms. Four years ago today, I took the commuter train from Boston up to the north shore so I could play in the ocean with two friends. It was a gray, but lovely day. I had caught wind of a hurricane down south, and on the train ride back, as our hair dried and the saltwater evaporated from our skins, I mentioned to my friends that I heard they were evacuating the city of New Orleans. "I doubt they'd do that," my friends said. "Can you imagine what a mess that'd be, evacuating a whole city? "Besides," my friends said. "They're used to hurricanes down there. They prepare." Famous last words, I know. And never, as the extent of the devastation became clear, have I felt less inclined to pull an I-told-you-so. Months later, in January 2006, I was still living in Boston in Haley House. Among the homeless men who came over in the mornings was David--a refugee from New Orleans who spent several months living in Boston's shelters and on the streets before he was able to return to his hometown. We met him at about the same time when so many of our college student volunteers were leaving for the Gulf to do service trips, including one gal who went and stayed, working with a nonprofit a friend of hers had started in response to the post-Katrina devastation. David had never been homeless before and the way he articulated his experience-- the shock of it all-- has stayed with me. David's girlfriend, who I met once when she came to Boston to meet him, was working on a documentary about what happened in New Orleans. I always wondered what's become of all the video she took. This is a long-winded way of saying: I am in a position to not directly feel the impact of Hurricane Katrina on my life, to feel grateful for my time in New Orleans and Mississippi, to commiserate with those who came north and told me all about it. I have a lot of privilege in this. Which is why, on this anniversary, I'm shaking my head: that was only four years ago? My life, it seems, has changed so much since then. It feels like that bad day was so much longer ago. For so many though, this is still their lives. Despite the spirit and commitment of its people, the city's levee protection is inadequate, its violent crime is soaring, its school system is failing, its local economy is overly dependent on tourism, and its neighborhoods are ravaged by blight. For example, millions of volunteer hours over four years have put more than 2,000 units of housing back into commerce. While noteworthy, the success pales when one considers that more than 80,000 units of housing were damaged. Their excellent future-focused column articulates a strong vision for New Orleans, as well as the lessons that every city in the country would do well to take with them. "When the Levees Broke: A Requiem in Four Acts." Have you not seen Spike Lee's film yet? Then get the hell off the internet and watch it right now. Rarely have I seen such insight, beauty, nuance, and even humor contained in one movie. Watch it now, this hot second. You'll thank me. Follow @harrislacewell and @JamesPerry2010 on Twitter. Their passion for New Orleans is matched only by their brains. I've learned so much from them both, and am grateful. Not on Twitter? Read more extended commentary on post-Katrina cities here, here, and here. Go. Go to the Gulf Coast. Go to New Orleans and the Gulf Coast. Visit the places that aren't in any tourist's guidebook. Talk to people. See what is to be done. I say this as advice to myself. As I mentioned, I've never been to the post-Katrina city and coast. I loved what it was, but I want to become acquainted with what it is now. We have clung desperately to its promise and held it up as a rose-tinted screen against King’s core message: that before we can have harmony, we must first have justice. ... His movement would not reach for the unity so often invoked today while looking past the fact that a quarter of black households live in poverty and that more than 15 percent of black workers are unemployed. It wouldn’t look past the yawning gap in wealth between white and black families—a nearly ten-fold spread. That wealth is what creates the opportunity King fought for—the ability to make it through school without life-crippling debt, to invest in both a new career and a new family at the same time, to weather the 2001 recession without taking out subprime loans that ended in foreclosure and further loss of wealth. King’s movement wouldn’t—and didn’t—prioritize comity in Washington or the electoral future of the Democratic Party over righting these sorts of wrongs. It wouldn’t—and didn’t—say, well, we’ve got an “ally” in the White House so let’s not make too much noise about the injustices unfolding in our neighborhoods every day. It wouldn’t—and didn’t—care more about political pragmatism than the fact that record numbers of families are starving. And here's vintage ill Doctrine - "Ten OTHER Things Martin Luther King Said:"
It is difficult these days to so much as utter the word “Iran” without evoking stories of politics, policy, and protest. Overshadowed, it seems, are the people. For Elizabeth Eslami, fiction is a way to center the lives of first and second-generation Iranian immigrants in the United States who are too often the subject of stories told about them, rather than by them. Like Jasmine, Elizabeth Eslami is an Iranian-American who grew up in the American south. She studied writing at Sarah Lawrence Collage and the MFA Program for Writers at Warren Wilson College. Her work has appeared in Bat City Review, The Minnesota Review, The Millions, and Crab Orchard Review, among others. These days, in the wake of this year's publication of Bone Worship, Elizabeth is wrapping up a story collection called It Is All Getting Away From Us and is halfway through a novel set in Montana in the early 1900s that is about— of all things—a wolf exterminator. Recently, I was able to connect with Elizabeth to discuss her childhood habit of hiding stories, how Iranian politics influences fiction, the gender gap of readers, airports, the best lesson she learned from the publication process, and the state of the modern arranged marriage. Genocide, after all, is an exercise in community building. A vigorous totalitarian order requires that the people be invested in the leaders' scheme, and while genocide may be the most perverse and ambitious means to this end, it is also the most comprehensive. In 1994, Rwanda was regarded in much of the rest of the world as the exemplary instance of the chaos and anarchy associated with collapsed states. In fact, the genocide was the product of order, authoritarianism, decades of modern political theorizing and indoctrination, and one of the most meticulously administered states in history. And strange as it may sound, the ideology--or what Rwandans call "the logic"--of genocide was promoted as a way not to create suffering but to alleviate it. The specter of an absolute menace that requires absolute eradication binds leader and people in a hermetic utopian embrace, and the individual -- always an annoyance to totality -- ceases to exist. The mass of participants in the practice massacres of the early 1990s may have taken little pleasure in obediently murdering their neighbors. Still, few refused, and assertive resistance was extremely rare. 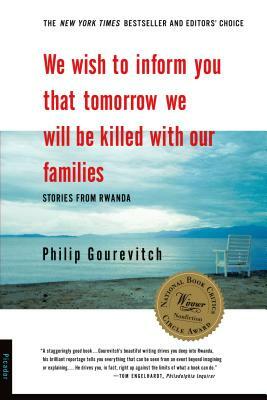 Killing Tutsis was a political tradition in postcolonial Rwanda; it brought people together. -- What does it take to make international students on U.S. college campuses feel comfortable? The Chronicle for Higher Education looks into it. -- Speaking of college life, Amanda Stahl (who I worked with as a personal helper) and I thrilled at the extraordinary things the University of Illinois is doing to make itself available to students with physical disabilities (see photo above from the Chicago Tribune). But the real question is, twenty years after the Americans with Disabilities Act became law, why is this still considered "innovative," rather than "standard?" This isn't about "charity," after all. Our world is bereft when it systematically eliminates the participation of people whose bodies work differently than what is considered "normal." What ideas, insights, work, and innovation has been lost in a society that expects people with disabilities to stay home? - -Congratulations to the 2010 winners of the Rona Jaffe award! Their projects look absolutely fascinating. -- "Journalists deserve a living wage." And I *heart* Evan Smith. -- Despite the difficult-to-read website, I still can't wait to read this book from Archipelago. -- Border and bylines: Journalists and media critics must increase their global expertise, says Justin D. Martin at the Columbia Journalism Review. He will be writing a new CJR column on international journalism. 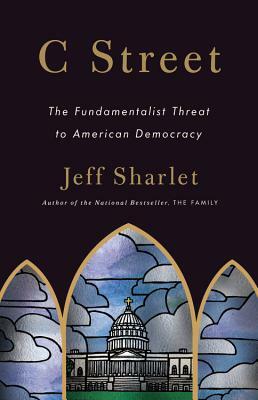 -- Jeff Sharlet is interviewed on NPR's "Fresh Air with Terry Gross" about the American connection to the anti-gay politics of Uganda. In a word: it's frightening. I've been following Sharlet's work for a few months now, by the way, and find it revelatory and responsible. He is the author of The Family: Secret Fundamentalism at the Heart of American Power and the forthcoming C Street: The Fundamentalist Threat to American Democracy. His good work often appears in Harper's, including the current issue: "Straight Man's Burden." (Subscription is required for article access, and, as a general rule for Harper's, it's worth it.) He also has a the cover story in The Advocate: "Dangerous Liaisons." -- More cause to boycott The Huffington Post. Beyond the usual reasons, of course. I really can't stand that site. -- Dating by the book: On the online dating site that attempts to match people based on the books they like. Thanks to Chris M. for the link. Related: "the perils of literary social networking." -- Ten lesbian and bisexual poets to fall in love with. The ones who I am most enamored with? 1, 3, 5, and 10. Sadly, Kay Ryan, Joy Harjo, Amy Lowell, Gertrude Stein, Elizabeth Bishop, Edna St. Vincent Millay, Carol Ann Duffy, and Sappho (!) aren't on the list, although they'd admittedly make it too crowded. Emily Dickinson should probably qualify too. I love them all. -- Journalists in Honduras, Somalia, and Indonesia have recently been killed. Meanwhile, in Russia, a trial for two suspects in the murders of Novaya Gazeta reporter Anastasiya Baburova and human rights lawyer Stanislav Markelov is coming up. The suspects will be kept in custody until the trial opens. And in the Philippines, the Committee to Protect Journalists is seeking justice in last year's massacre of 32 journalists and media workers. -- Arizona State University journalism students have put together an impressive fact-checking team that is holding the state's political candidates accountable. -- Lydia Davis, an Isak favorite, is interviewed over at The Rumpus. Which is awesome. -- Linda Holmes on NPR: "Women Are Marshmallow Peeps, And Other Reasons There's No 'Chick-Lit'." -- Katha Pollitt wins a lifetime achievement notice from the American Book Awards. -- "No Name or Too Many?" On the great Spanish writer, Javier Marías (described in the article as a novelist, though I still think of him more as a short story writer). --- "Ira Glass on broadcasting's 'failure of craft'"
This interview series features original conversations with folks around the world who are in the thick of literary culture -- the passionate writers, editors, critics, readers, translators, publishers, bloggers, designers, booksellers, poets, performers, journalists, and instructors who are bringing vibrancy and joy to the world of words. More than a rehash of things you have heard familiar names natter on about before, this series will turn its attention beyond the bounds of the usual suspects and the usual issues. This series is committed to a dynamic exploration of ideas, craft, language, literature, and culture with the people who are committing their lives to it. See the previous interviews with Daniel Pritchard and Anne Trubek here and here. 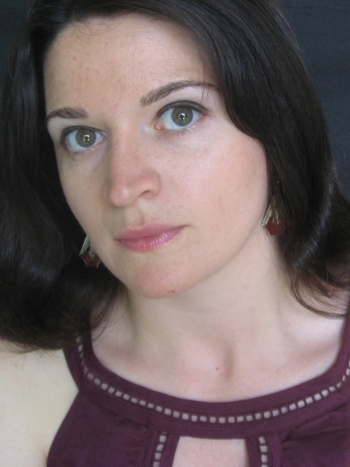 Susanna Daniel has published her debut novel, Stiltsville, this month with HarperCollins. Ten hellish years in the making, the novel is now a "Discover Great New Writers" selection from Barnes & Noble, and a "vacation must-read" pick from Redbook. Daniel is a native of Miami, Florida who spent much of her young life in the real-world Stiltsville. 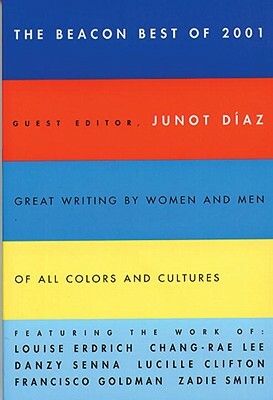 She went on to graduate from Columbia University and the University of Iowa Writers’ Workshop. She was a Carl Djerassi Fiction Fellow at the University of Wisconsin Institute for Creative Writing, and still lives in Madison, Wisconsin. I sought out a review copy of the novel after being entranced by an excerpt of Stiltsville that was published in One Story. Typically, I'm loathe to read excerpts and abridgments, but in my defense, I didn't realize this was an adapted chapter of a novel until after I finished it. Also: I liked it. As a full novel, the narrative takes us into the person of Frances, a twenty-six year old Atlanta woman who, one afternoon in 1969, finds herself unexpectedly visiting a house set on stilts in the Biscayne Bay, off the shore of Miami. The house is owned by Dennis, and here, things change. The story follows the relationship of Dennis and Frances through the mid-1990s, revealing the epic in the intimate, the strangeness in the usual, the natural wildness in urban South Florida, and the heavy beat of love across the current. Discussed in our conversation: haunting landscapes, narrative drive, Carl Hiassen, the Midwest, shipwrecks, older men and women, biography, Miami, and dueling realities.